Recommend allowing a "Custom Category" option to the "Owned, Ordered, and Wish List, as I have three separate movie collections. I separate my Music Concert Videos and Holiday Movies separate from my regular movies and do not want to view them with my regular movies. The only way I can separate my concert videos now, is to set the "Sort Order" to "Collection Number", assign all my movies custom Collection Numbers and after my last regular movie Collection Number, number all my concert videos after that, so that the only way to see them separately is to have to scroll to the very end of my movie collection at the very end. 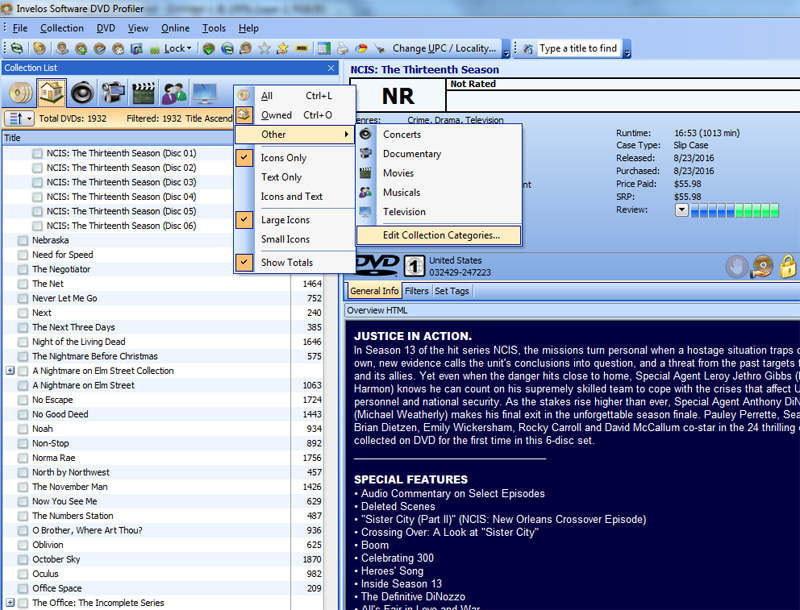 In case you don't know, the feature you're looking for does exist within the DVD Profiler for PC application. Just right click within the "Collection List" area as shown below, then selecting "Other->Edit Collection Categories". The "Edit Custom Collection Categories" window is then displayed where you can hide built-in categories if you want in addition to adding new categories. For each category you have the option to "Include contents in owned collection". You also have the option across the board for Collection ID's to be "Globally unique" or "Unique within each category". While the mobile apps are very nice, they'll simply never include all the functionality offered by the actual DVD Profiler for PC application. That certainly doesn't mean you can't request that a feature be carried over to the mobile apps. Personally I only use the mobile apps to view my collection. 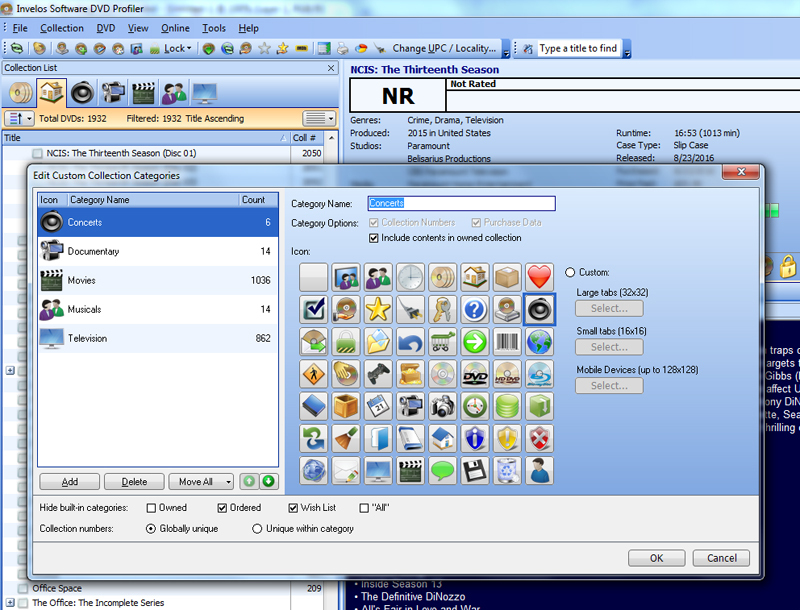 Any work with my collection is done solely with the PC based application which is far more powerful and feature rich. In turn, I'll pull any changes down to the mobile apps from DVD Profiler for PC across my local network, no Internet connection required. Gotta love it.